How much protein dogs need is highly debated. Some say that protein should make up the bulk of your dog’s diet, while others warn this could be dangerous. This decision should be made by you and your veterinarian, taking into consideration your dog's health and taste preferences. No pet food company should be making your mind up for you. Only you and your vet know what’s best for your pup, and what diet works for him or her. The only problem our dogs' ancestors had with protein was not being able to get enough of it. 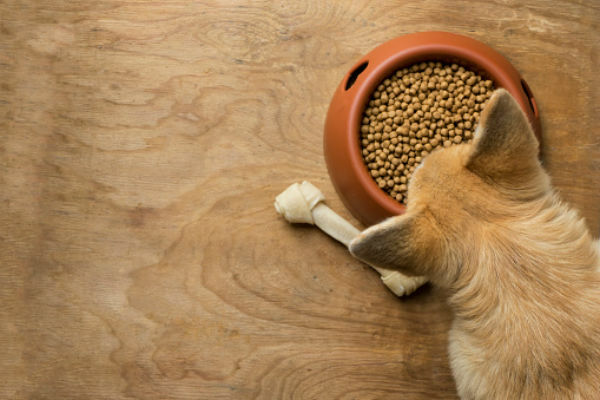 Although whether our dogs need this amount of protein today is debatable, many owners are turning to higher protein diets to try to match the diet our domestic canines evolved from. Trying to find a high protein dog food can prove confusing though, especially if you’re not used to reading labels. So what exactly should you be looking for? The Association of American Feed Control Officials (AAFCO) has developed general guidelines when it comes to protein content. Foods and treats that are 100 percent made from a specific ingredient must contain no other ingredients except water. So, if you’re looking at a bag of treats that’s made of 100 percent beef, you’re likely looking at a very high protein treat. Chicken strips or beef jerky treats are the most commonly seen 100 percent protein pet products — almost no dog diets meet this standard. Foods with labels that include the word “with” are required to be made up of only 3 percent of the named ingredient. For example, “Fluffy’s Delicious Dinner with Chicken” needs to contain only 3 percent chicken in the ingredients. A food labeled “Fluffy’s Delicious Dinner with Chicken and Rice” needs to consist of 3 percent chicken and 3 percent rice. Foods that say they contain a specific flavor do not need to contain much of the flavor ingredient at all. AAFCO requires that “a listed ingredient provides the flavor” and “the flavor descriptor is printed in the same font and as conspicuously as the name of the designated flavor.” This essentially means that a “Beef Flavored Dog Food” needs to contain something like beef fat and one other ingredient that provides beef flavor. Once again, choosing the right dog food can prove to be quite draining. 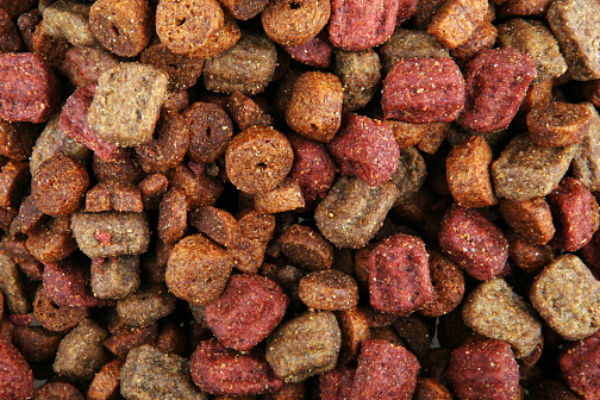 With hundreds-to-thousands of options available, it can be overwhelming just deciding what several foods you want to try with your dog. 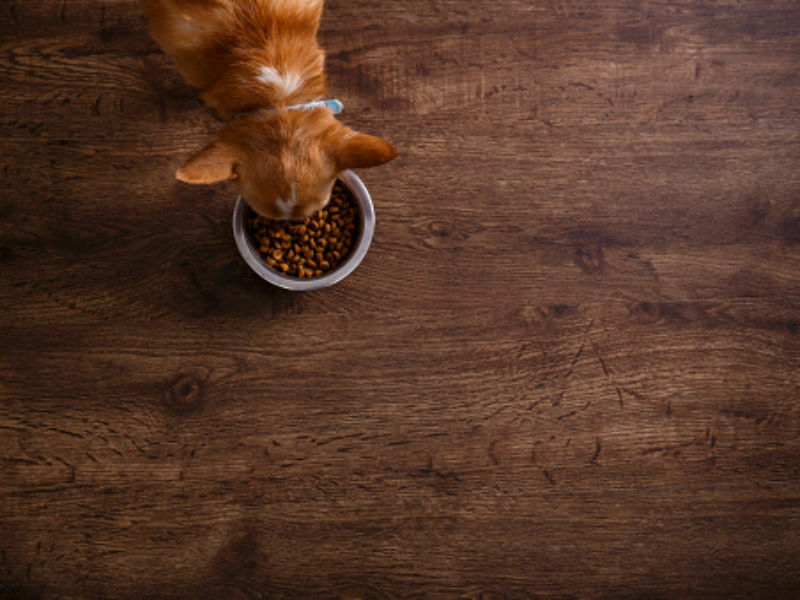 Although this article discusses the rules that apply to protein in dog food, the same rules actually apply to ingredients across the board for AAFCO. So if you’re looking for high protein, high fat, or high carbohydrates, you can use these guidelines to narrow down your search. And, of course, consult your veterinarian if you have any questions.